This brown boutonniere has fresh greens added. 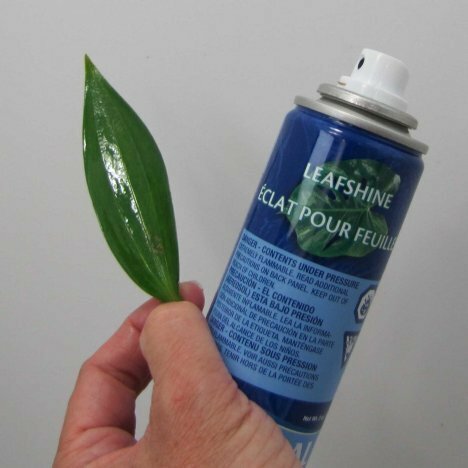 I always spray the them with Leafshine before using them with my flowers. It cleans off pollen, dirt and white spotchy residue from hard water washes. Do not spray fresh flowers with this product. 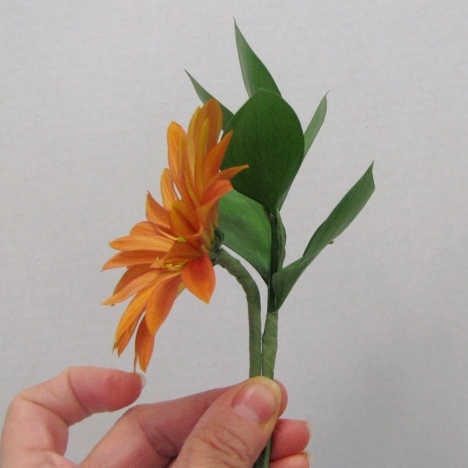 Before I tape the ruscus to the daisy, I want to wire it so I can bend and manipulate it exactly where I want it. 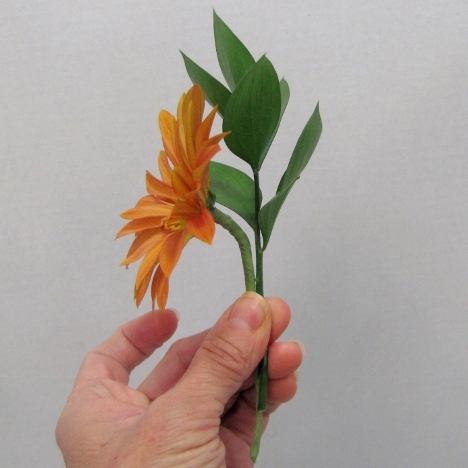 I tape a floral wire and then bend it into a hairpin shape. Hook the taped wire over where the leaves meet on the stem high up on the greenery sprig. 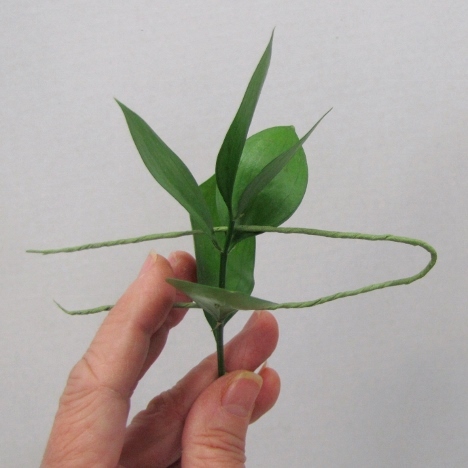 Pull the taped wire down so it parallels the ruscus stem. 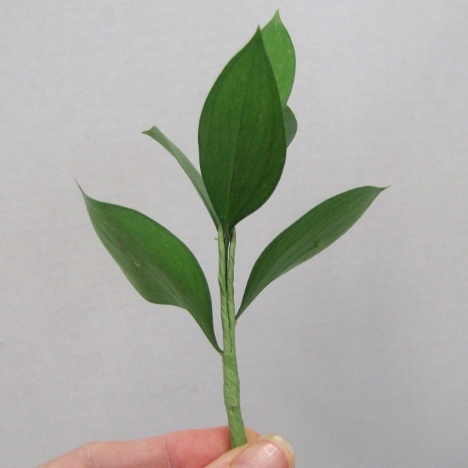 Tape right below the bottom leaf, creating a single taped stem. 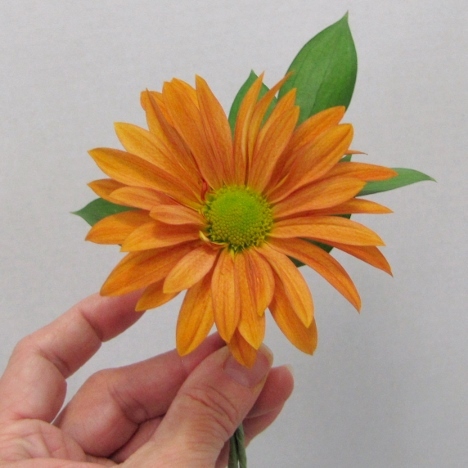 Place the wired leaf sprig behind the daisy flower head. 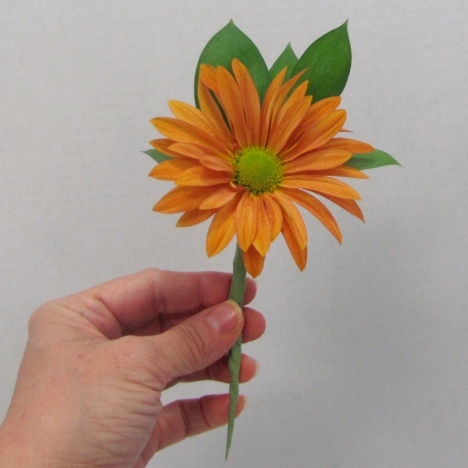 You can see how I "hooked" the flower in between the leaves before taping the stems together. 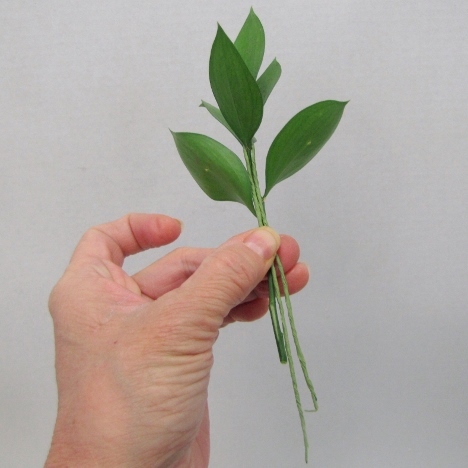 The single stem of ruscus looks good behind the daisy head, but I want a few more leaves in exact places. 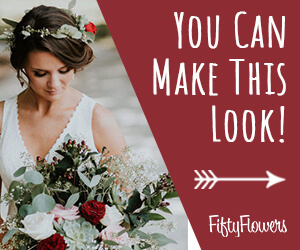 Remember - paying attention to detail is what gets your flower designs noticed. Wiring individual leaves is easy. Simply thread a green enameled floral wire (gauge 26) through the individual leaf in a stitch pattern. 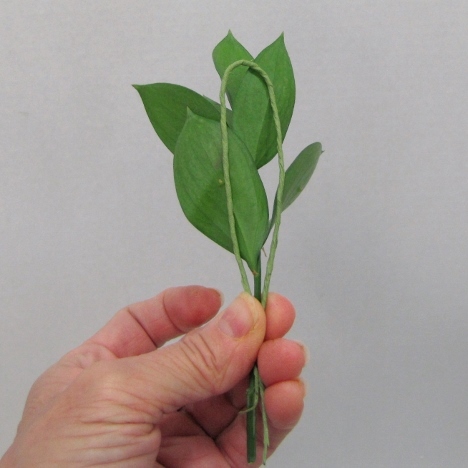 Bend and tape to give the leaf an individual stem. Thread the wire like a thread stitch through the bottom of the leaf. 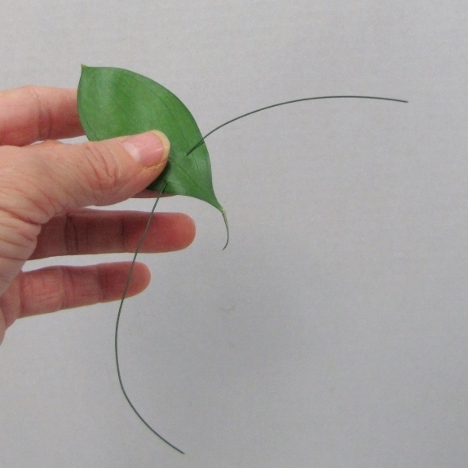 Press your thumb and forefinger over the leaf where the stitch is and then bend the wire ends down parallel to the stem. Then tape with floral tape. 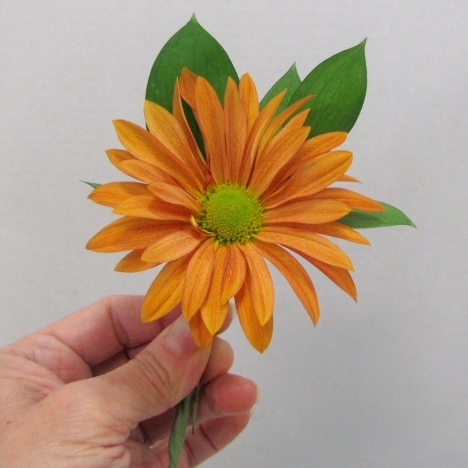 Place the wired leaf behind on the left side of the daisy. 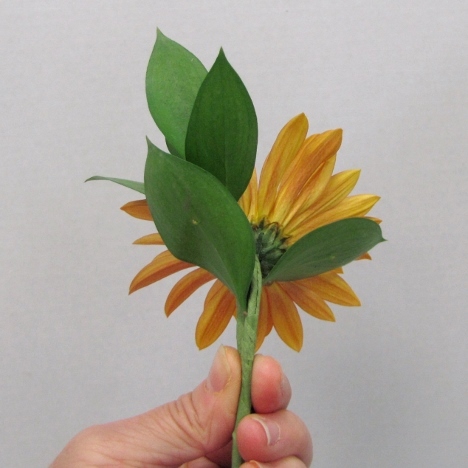 Tape down the boutonniere stem, securing the leaf to the back of the boutonniere.